This photo was taken the week that our London abroad program went to Edinburgh, Scotland for a few days. A few friends and I stayed in Scotland a few extra days, and I ended up with an afternoon alone in Scotland, unsure of what to do. 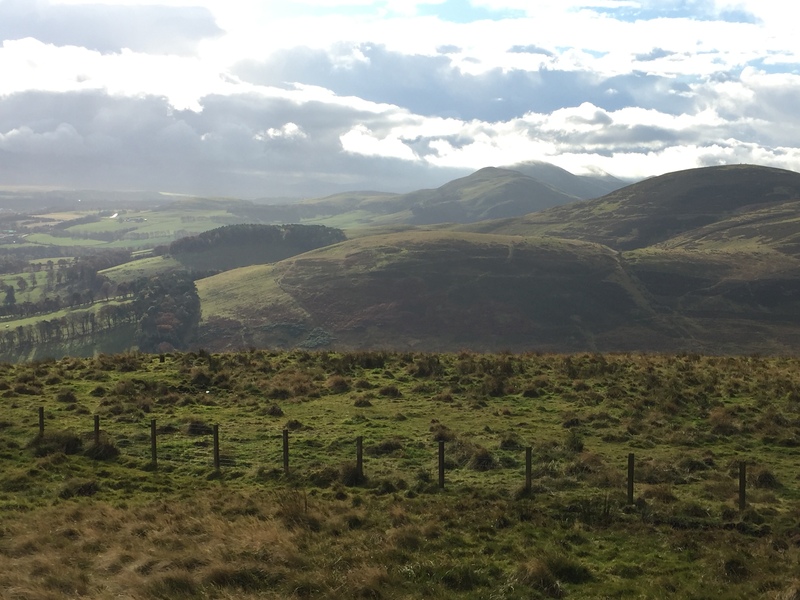 So, I looked up scenic areas in Edinburgh and found this little unknown space of land called the Pentland Hills. It was an hour bus ride out of the city, and a thirty-minute trek through rural farmland after that, just to get to the base of the hills. I spent most of the afternoon climbing, but it was worth it when I reached the top of the hills. The view of Edinburgh was indescribable. Because I had gone alone, and because there wasn’t a single other person around for miles, I felt a sense of peace that I had never before experienced, just by being surrounded by this vast green scenery. I tried to take a photo to capture the beauty of the scene, but I don’t think any photo could do it justice. The fact that I had made this journey all by myself, in a town (and a country) I had never been to before, and the amount of freedom that I felt once getting to the top — that completely made my study abroad experience. It showed me how far I had come in my independence, and it showed me that truly beautiful things can come out of that. While I don’t know if I’ll ever be able to escape to the Pentland Hills again, that experience has inspired me to try and step out of my comfort zone a bit more and take more independent trips around Oregon.